Seventeen year old Ahed Tamimi is from the Palestinian village of Nabi Saleh in the occupied West Bank. Its populace, like all Palestinians in the Occupied Territories, live under a regime of military rule and apartheid, being perennially subject to arrests, curfews, raids and restrictions being placed on their freedom of movement by Israeli army checkpoints. The Israeli Jewish settlement, that lies adjacent to the village, plunders its land and only source of water. Attempts to resist the theft and colonisation of their land has been met with brutal repression. In December last year, the video of Ahed Tamimi slapping an Israeli soldier in the face went viral. The soldiers were preparing to raid her family home and earlier on that day her 15-year old cousin Muhammed was shot in the face when participating in protest against Trump’s recognition of Jerusalem as the capital of Israel (and in doing recognising the latter’s annexation of occupied East Jerusalem). For this perfectly justifiable act of resistance she, alongside her mother, was arrested on 19 December and has been brought in front of an Israeli military court on 12 trumped charges. There is no justice administered in these courts; over 99% of those dragged in front of them are found guilty and imprisoned for lengthy periods. Ahed herself faces the possibility of ten years in prison. This case highlighted has not only exposed the generalised oppression meted out by the Israeli state, it has particularly drawn attention to the plight of Palestinian child prisoners. There are currently 483 Palestinian children in Israeli prisons, many of whom are subject to routine torture on the part of their captors. Ahed Tamimi’s case has gained international attention. The courageous act of a young woman defying the Israeli military machine is an inspiring one for working people, women and young people across the globe. Since her initial arrest more tragedy has been visited upon her family, her cousin 17-year-old Mus’ab Firas al-Tamimi was the first Palestinian to be killed by the Israeli military in 2018 on 3 January. Socialist Struggle Movement (SSM), the Socialist Party’s sister organisation in Israel/Palestine, is demanding the release of Ahed Tamimi and all Palestinian political prisoners held in the dungeons of the Israeli State. 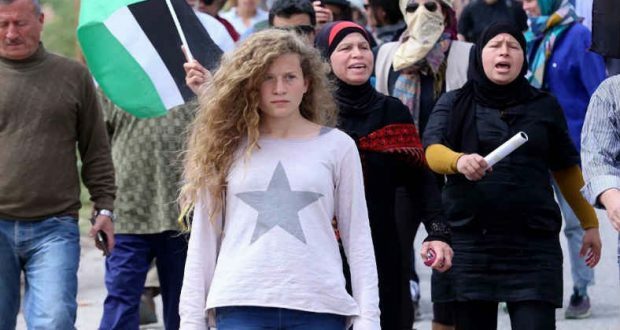 The latter is seeking to brutally crush any signs resistance to their ongoing occupation of Palestine and make an example of Ahed, whose courage has made her an international symbol of this resistance. She also is a reminder of the aspiration of Palestinian working and young people to end Israeli colonialism. The Israeli State’s occupation of Palestinian land can be successfully resisted. 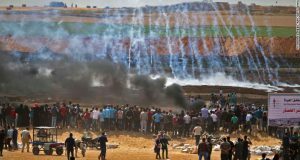 A mass uprising in the Occupied Palestinian Territories, democratically controlled by the Palestinian masses themselves with the right to armed self-defence, can shake it to its foundations. It must be a struggle directed against the occupying forces, the settlements and the wretched collaborators in the form of the Palestinian Authority. 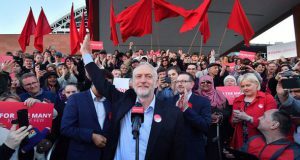 Such a struggle can lay the basis for a region-wide revolutionary movement to defeat the oppressive capitalist regimes, including the Israeli ruling class, that dominate the region. 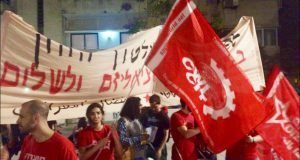 It can its struggle with that of the Palestinians living within Israel’s international recognised borders for full equality and appeal to the Israeli Jewish working class to join them in the struggle for a democratic socialist society, where as a result of the overthrow of capitalism and imperialism, a future of solidarity, equality and peace can be created and the national rights of all can be guaranteed.